Letter to H.E. 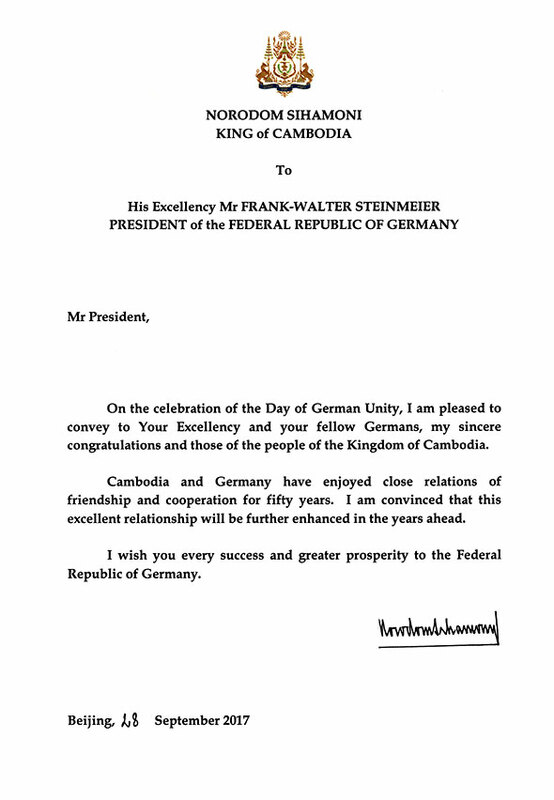 Mr. FRANK-WALTER STEINMEIER, President of the Federal Republic of Germany. Letter to H.E. Mrs. HALIMAH YACOB, President of the Republic of Singapore. Letter to H.M. SALMAN BIN ABDULAZIZ AL SAUD, King of the Kingdom of SAUDI ARABIA. Letter to H.E. Mr. SERZH SARGSYAN, President of the Republic Armenia.